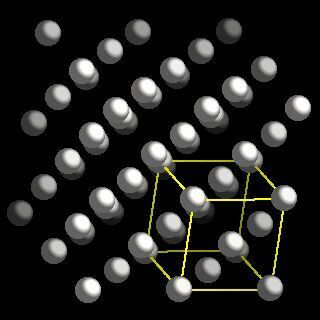 Platinum crystal structure image (ball and stick style). 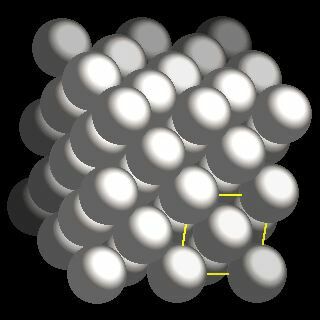 Platinum crystal structure image (space filling style). The closest Pt-Pt separation is 277.5 pm implying a platinum metallic radius of 139 pm.